Was Hurricane Katrina good for the education of students in New Orleans? Hurricane Katrina was the second most intense hurricane to make landfall on United States soil and most costly natural disaster in US history. Hurricane Katrina formed over the Bahamas on August 23, 2005 and crossed southern Florida and then strengthened rapidly in the Gulf of Mexico. Hurricane Katrina made its way along the Gulf coast from central Florida to Texas causing some damage ultimately hitting New Orleans, Louisiana fast and furiously on August 29th 2005, wreaking havoc on lives and property. 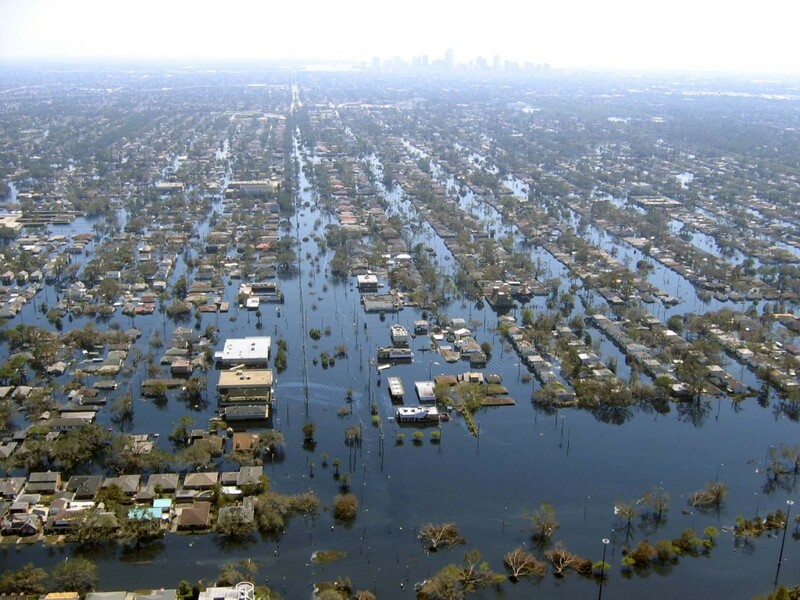 On August 28th, 2005 the National Weather Service sent out a warning under the heading of ‘Devastating Damage expected” to the city of New Orleans saying, “Most of the area will be uninhabitable for weeks, perhaps longer…” (McCallum and Heming, 2111). Almost 80% of New Orleans citizens evacuated from their homes in hopes of finding shelter in a safer location. When Hurricane Katrina hit New Orleans, immense flooding occurred because massive storm surges triggered the breaches in the levees on 17th Canal Street, to break. “This was quickly followed by a total of three levee breaches, resulting in 80% of the city being under water…”(McCallum and Heming, 2105) with some parts of the city under twenty feet of water. Katrina severely destroyed 47 of the 128 New Orleans public schools and 38 more schools had moderate damage. “…many of the…schools inspected were in various states of disrepair or had numerous life and safety code violations, some of which had preexisting problems that were not going to be covered under the mandates of the Federal Emergency Management Agency (FEMA). These preexisting problems included fire code violations, boarded up windows, peeling paint…The Katrina-related problems in the various inspected schools included such things as blown out or broken windows, water damage, roof damage, fallen ceiling tiles, and moisture and mold in ceilings and tiles…” (Karen A. Johnson 433). With all of this destruction, the people of New Orleans thought that maybe this could be a chance for change within the New Orleans school system. On August 29th, 2005 when Hurricane Katrina hit New Orleans, the state government of Louisiana thought that this could be a chance to rehabilitate the education system. Prior to Katrina, the state of Louisiana invested very little money in the predominately minority-attended public schools in New Orleans. The state spent less money per student compared to national average spending and the student to teacher ratio was also above the national average. From 1996-2005 the Orleans Parish School District had nine interim superintendents, which undermined the ability of educators to develop and sustain school improvement strategies. New Orleans was known as the lowest performing school district in Louisiana and many of the teachers and students had lost hope and sight of a good education. Many of the school buildings were over 50 years old and in disrepair from a lack of capital spending by the city and state. They would most likely have had to be substantially repaired or even demolished had Katrina not forced the issue. In 2003, the Louisiana State Board of Education declared the Orleans Parish School Board to be in “Academic Crisis” and they asked the Recovery School District (RSD) to take control of five of the failing public schools. The RSD is a school districted created in 2003 by Louisiana legislation and is designed to transform underperforming schools. After the storm hit in 2005, Louisiana’s governor Kathleen Blanco and the state legislature voted to overhaul a majority of New Orleans’ public schools and placed most of them under the RSD’s control. The Katrina Era of New Orleans brought about the rapid expansion of the RSD, did away with school attendance zones, brought about the rise of charter schools and a large group of teachers and administrators. The question is: did these changes actually bring about a better education for the struggling students of New Orleans? The people of New Orleans had hoped that this substantial effort in the wake of Katrina would bring about a drastic change in the education system. The government hyped up the thought that since the hurricane destroyed so much of the infrastructure, it would be a fresh start for the city and it would be the perfect time to rebuild the education system. The government was wrong and the rapid expansion of the RSD brought ushered in many unsupplied classrooms and inexperienced teachers. The removal of school attendance zone caused confusion among parents and there were few transportation options for students to get to their school of “choice.” It is true that Katrina made the country aware of how many underprivileged citizens lived in the city of New Orleans, and the poor state of its education system. Unfortunately, this awareness and the best hopes and efforts by the state and the people of New Orleans that followed in the wake of Katrina did not substantial improve the quality of education being delivered to the students of New Orleans. After Katrina hit New Orleans, government officials felt as though the New Orleans public schools need to be placed under state control, therefore many of the schools were put in the hands of the RSD. This seemed like a positive step in the eyes of New Orleans citizens. . The education system in New Orleans was split up into five different groups. The Orleans Parish School Board (traditional public schools) made up 7% of the school system, OPSB charter schools made up another 20%, the RSD traditional public schools made up 36% of the system, RSD chapter schools made up 34% of the system and the Board of Elementary and Secondary Education (BESE) made up a small 2% of the educational system. So the RSD, both traditional and charter schools made up more than half of New Orleans new education system. The government passed Act 35, “…which requires lawmakers to (a) expand the state’s authority to take over failing schools in OPSD, (b) redefine failing to include many New Orleans public schools that previously had not met the definition of failing, and (c) expand the state-run RSD in New Orleans and allow the RSD to operate alongside the Orleans Parish School Board as a dual state-run and city-run school system,” (Karen A. Johnson, 436). This act sounds very securing to the citizens of New Orleans. It made the people of New Orleans feel as though the government was making changes to improve the education of students. Although the government did try to get the education system back on track, there were many failures to the RSD plan initially. Although the RSD tried to increase the standards of teaching in their schools, the teachers that they hired were unqualified or unprepared for the conditions in the New Orleans classroom. When Katrina landed on New Orleans doorstep, the OPSB put many of the teachers and administrators on “disaster leave” and told them that they should look for jobs elsewhere because at first the government did not believe there would be any school facilities remaining or available for an extended period. The RSD started its hiring process of teachers a little late in the game. The RSD required teachers to pass a skills assessment test in addition to having an interview with a RSD official. Many of the teachers that had previously worked in the New Orleans public schools had found jobs at other schools, some of them had retired and others did not want to deal with the skills assessment tests. This left the RSD with only a few qualified teachers and many unqualified ones. Many of these teachers did not know what they were getting into when they started working in the New Orleans classrooms. Even now, in 2011, students reported that 70% of their teachers couldn’t effectively manage the classroom environment (Huynh). The supplies they were given and the state of the school buildings were enough to cause many of the teachers to quit within the first week of school starting. When teachers began at the new RSD schools, they realized how hard it was going to be to teach their students due to the students’ years of poor education and the unpreparedness of the school facilities. In addition to hiring the RSD teachers too late, the RSD also started ordering the supplies for their classrooms very late after Hurricane Katrina. In the fall of 2006, when the RSD had planned to open new schools, most were substantial short of supplies and in 2011, 70% of students reported not having enough textbooks in their classrooms (Huynh). To the citizens of New Orleans it looked promising to see that the RSD was quickly opening schools, but once the students were inside the classroom they realized that these schools were not in good condition. “RSD opened seventeen schools in the fall of 2006-schools that were inadequately staffed (many still have only a minority of certified teachers); that lacked books, food services, and other infrastructural necessities; and that started the year in school buildings that had either not been improved at all or were in the middle of reconstruction,” (Adamo 5). As mentioned above in the introduction, the Federal Emergency Management Agency (FEMA) would only cover the repairs for things that were caused by the hurricane, so preexisting problems in the schools were not fixed and New Orleans did not have any extra money for these repairs. Things like fire code violations, old boarded up windows and peeling paint were not the top priority for the state so many of these classrooms were not in the safest or nicest of conditions. The RSD also incorporated school choice for the existing families in New Orleans. Before Katrina, most public schools in New Orleans had attendance zones that determined where students would attend school. After Katrina, the RSD and OPSB ended the attendance zones, which allowed parents and students to have a choice in where they wanted to attend school. The abolishment of the attendance zones sounded like a positive step to a better education to the students and parents of New Orleans because they could now pick a higher-quality school if their local school was low performing. Although this plan sounded promising, it turned out to be an unsuccessful. The application process for parents was a difficult one so the RSD made a guide for the parents to follow to help them locate the proper school for their child. The guide was made up of sixty-eight pages of information to help parents learn about what each school had to offer to their children. The guide also explained how to set up visits to tour the school, observe classes, and meet with principals. If the student matches up to the standards of the school they can apply, but there were application deadlines. The system of applying was hard for lower income parents because they did not have a surplus of time to take their children to these schools and most of them did not have readily accessible transportation. Also in a 2011 study, 75% of students from limited-English proficient families reported that parents had insufficient information on school options and programs (Huynh). Kristen Buras writes in her article, “While open enrollment may refer to schools that do not rely on traditional neighborhood attendance boundaries for student admission but instead admit students citywide, this does not mean that such schools are necessarily open access with respect to admissions policies,” (Kristen L. Buras, 317). The idea of open enrollment gave New Orleans parents hope that they would start seeing better results in their child’s education because of better schooling options, but it was a false hope. If their child did not get into one of the better schools, and many did not, they would be placed in one of the schools directly run by RSD. Another problem with the choice policy was that the state did not factor in transportation costs, so there were no buses provided and few public transportation options to carry students to their new schools. And, very few of the families had a car available at the times needed to get to and from school. In addition to the teachers and the classroom conditions being unprepared and poor, the schools could not handle the number of students returning to New Orleans to go to school. Since over 200,000 students from Louisiana evacuated after Katrina hit, the New Orleans government officials didn’t predict the influx of students in such a short period of time after Katrina but many families came back shortly after Katrina to try to get their lives back together. As this realization gripped the RSD, it pushed to open more schools quickly, which only exacerbated the problem of ill-equipped facilities and unprepared or unqualified teachers. One student, Linda Tran, who graduated from Abramson Science and Technology Charter School in 2011 stated, “I’m worried about going to college and not knowing anything, and then flunking out. I’m already too far behind. Now, I just hope my sisters and brothers don’t have to go to a bad high school. I don’t want them to experience what I had to experience,” (Huynh). The quality of education six years after Katrina still hasn’t reached the same standard of the state average of Louisiana. In a 2011 study of the state of Louisiana versus New Orleans, 33% of the state’s students were “college ready” while only 7% of the students in New Orleans were college ready. The parents of New Orleans were yet again let down by their city and state, and their children once more were left wallowing in a grossly substandard school system. Although Hurricane Katrina brought about a great sense of hope to the families and students of New Orleans, many of these hopeful feelings were crushed when realities set in. While the RSD made the people of New Orleans feel confident by quickly opening schools and making changes in the way the education system worked, there were many immediate failures that came along with the RSD. The unfinished and unsupplied classrooms made teachers and students’ teaching and learning experiences unpleasant. In many cases it was a hazardous for students and teachers to be inside the classroom. While the RSD amended the attendance zones and improved some schools, many underprivileged families could not afford to get their children to far away schools, so they were forced once again to go to the worst schools in New Orleans. Adamo, Ralph. “Squeezing Public Education: History and Ideology Gang Up in New Orleans.” Dissent Magazine. Web. 20 Apr. 2012. <http://www.dissentmagazine.org/article/?article=862>. Buras, Kristen L. “Race, Charter Schools, and Conscious Capitalism.” Harvard Educational Review. 2nd ed. Vol. 81. Harvard Education. 296-20. Web. 22 Apr. 2012. 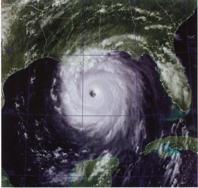 “Hurricane Katrina and the New Orleans Built Environment.” Hurricane Katrina and the New Orleans Built Environment. Web. 28 May 2012. <http://densitykatrina.wordpress.com/>. Huynh, Dan. “Six Years After Katrina, New Orleans Youth Release Report on Deficiencies at Six Public High Schools.” UNAVSA Â». Sept. 2011. Web. 03 May 2012. <http://www.unavsa.org/six-years-after-katrina-new-orleans-youth-release-report-on-deficiencies-at-six-public-high-schools/>. Hill, Paul, and Jane Hannaway. “The Future of Public Education in New Orleans.” The Urban Institute, Jan. 2006. Web. 24 July 2012. Johnson, Karen A. “Hope for an Uncertain Future.” Urban Education. July 2008. Web. 18 Apr. 2012. <http://uex.sagepub.com/content/43/4/421>. Liu, Amy. “Chapter 3.” Resilience and Opportunity: Lessons from the U.S. Gulf Coast after Katrina and Rita. Washington, D.C.: Brookings Institution, 2011. “The Equity Report.” Recovery School District. 2012. Web. 1 May 2012. <http://www.rsdla.net/Libraries/Equity_Reports/RSD_Overall.sflb.ashx>.